Read these tips for writing a science or hobby feature. Astronomy is a monthly science and hobby magazine with more than 140,000 readers. The magazine serves readers who want to keep up with the latest discoveries and understand astronomical science, as well as those who want to know what is happening in the sky each month. Most of the articles used in the magazine are commissioned by our editors. Occasionally, we do publish unsolicited material. To query us on an article idea, send a letter or an outline that describes the piece. If you have not been published in Astronomy, please send writing samples along with your letter. All submissions must include a typed, double-spaced printout. These materials will not be returned to you. You will receive a written response indicating whether or not your article has been accepted for publication. Descriptive features focus on a particular type of astronomical object or scientific process. News features focus on an area of research and give readers an in-depth look at recent events. Human-interest features highlight personalities, historical events, and special topics such as education and archaeoastronomy. Observing features explain where to find and how to view celestial objects and include sky maps, diagrams, and illustrations. Articles can be aimed at beginning, intermediate, or advanced observers. Photography and imaging features provide how-to advice on capturing portraits of celestial objects on film or in digital format. Equipment features range from product reviews to surveys of telescopes and accessories. 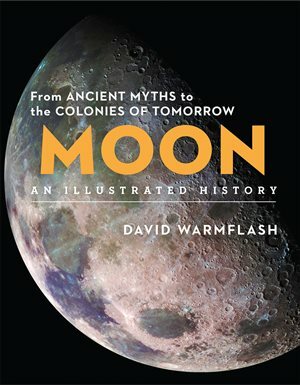 Read Astronomy to get a feel for its style. Astronomy's readers are interested in the sciences, with a particular interest in astronomy. They are well-educated, curious readers who are not formally schooled in the subject of astronomy. The magazine contains two broad types of articles: features on the science of astronomy and those on the hobby of astronomy. Articles typically range between 1,500 and 3,000 words. The magazine's articles must go beyond presenting facts; they must tell a story. The first two or three paragraphs (the "lead") must grab the readers' attention and tell them what the article is about. The article should contain a thread, or argument, that develops in a coherent direction as details supporting the lead are delivered and should end in a meaningful conclusion that summarizes its content. Use active verbs and avoid the passive voice. It's much better to write "Astronomers discovered a new planet" than "A new planet was discovered by astronomers." Vary the lengths of sentences and paragraphs, but generally, keep them short. Describe complex ideas concisely and with clarity. Wherever possible, use metaphors or analogies relating to everyday life. Write to express, not to impress. Avoid needlessly complex terms. If you think the average reader would have to look up a word's meaning in a dictionary, don't use it. Avoid jargon, lists, and acronyms, except for commonly used terms such as NASA.